Notepad is ASCII (you can that say a text editor) editor that is used for writing the PHP script, many other editors are also available for writing a PHP script like Dreamweaver. Both servers are used to create run time environment on the client machine. The web browsers are used for display the output by giving PHP script, for example Google Chrome, Firefox, Internet Explorer etc. 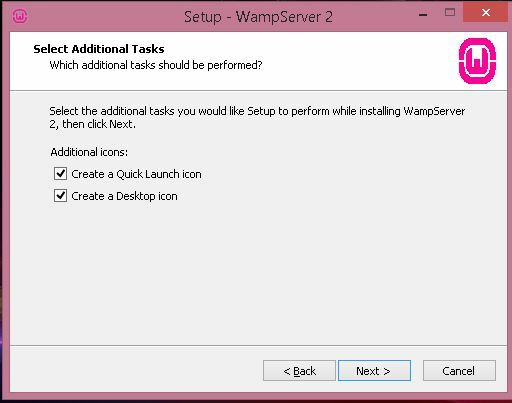 Why using WAMP or XAMP server? PHP is a server-side scripting language it's not run on a local machine. So that WAMP or XAMP server is used to create server environment on the local machine to run PHP script. PHP on Windows can work with Apache or IIS. 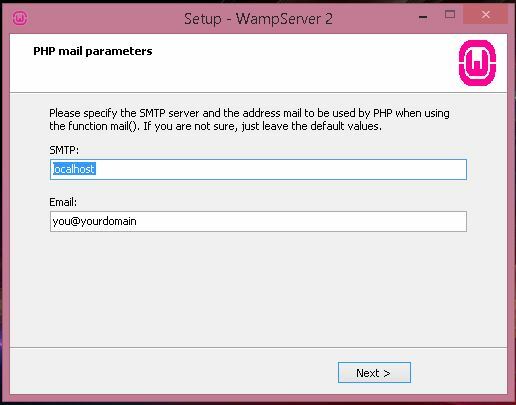 Easy way to install Apache and PHP: WAMP Server. The acronym of WAMP is Windows, Apache, MySQL, and PHP — which is used to describe any Windows - based Web server setup. 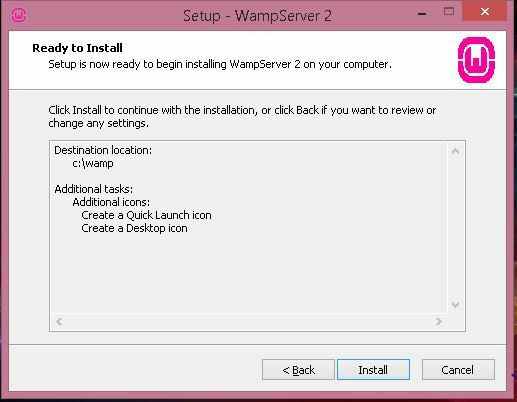 Follow these steps, To install WAMP Server on windows. 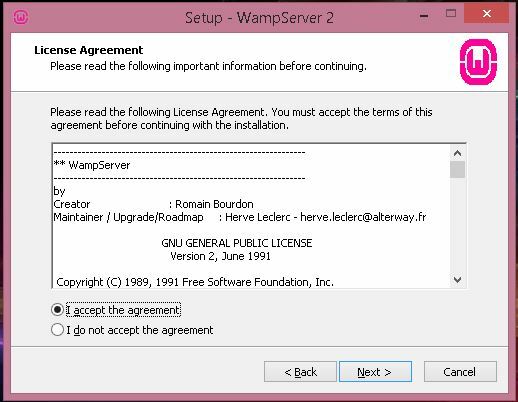 Note: WAMP server is an open source application, so you can download without pay anything. 2. 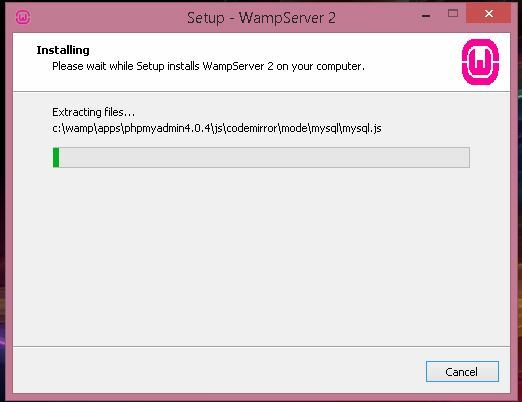 Click on WAMP Server ".exe" file that you downloaded, and follow the following instructions on the screen to install the application. 4. Click the next button to licence agreement window. 5. Click I accept the agreement and press next to continue. 6. 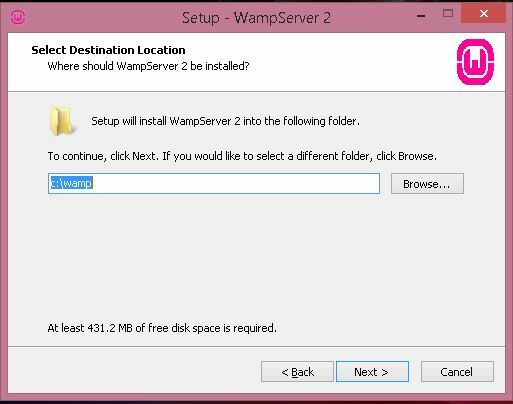 Choose destination Folder, where you want to install WAMP server. 11. 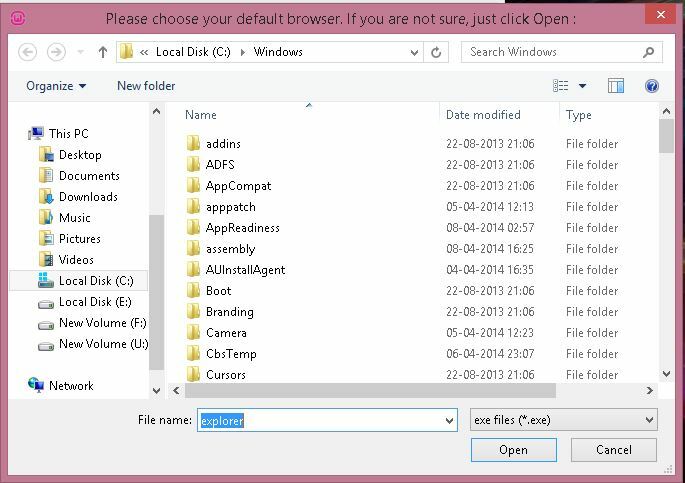 Now select your default browser if you are not sure, just select default browser. 13. Enter a default SMTP (mail server) and email address or press next to use defaults. 14. Press finish button to complete installation. 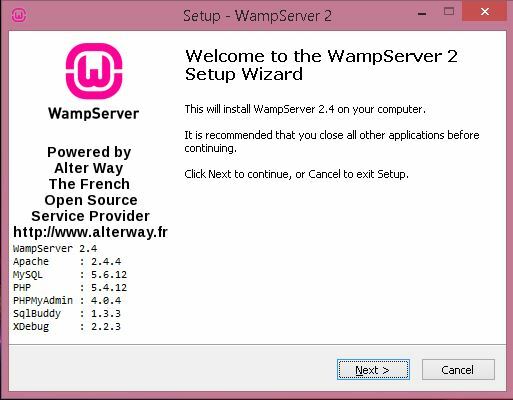 Click WAMP server on the desktop. Check the task bar if WAMP server symbol is green. To test that the Web server is running correctly, choose the Localhost option from the WAMP Server menu or type localhost in your browser. If all has done systematically, you should see the page shown below appear that means WAMP Server has successfully installed. Congratulation you have installed WAMP server properly!! 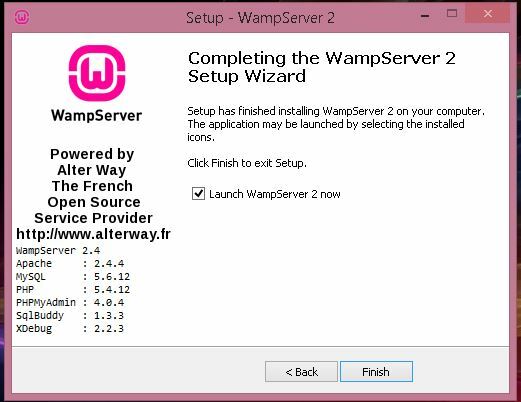 Now watch the video to learn the process of installation of WAMP server.